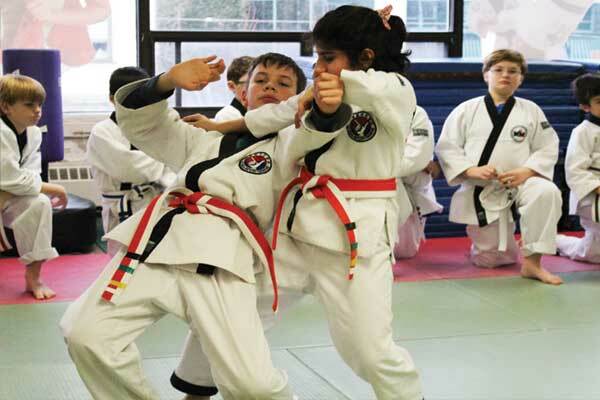 Martial Arts North York Toronto school with age-appropriate children’s self defense and kickboxing classes. We help kids develop better focus, self-discipline, and confidence through martial arts. Childrens Martial Arts North York classes at T.H.A Martial Arts & Kickboxing (Toronto Hapkido Academy) located - 1666 Bayview Ave. #200. Martial Arts North York classes for kids ages 8 to 12.
self defense… but also tools for greater confidence, discipline and focus. 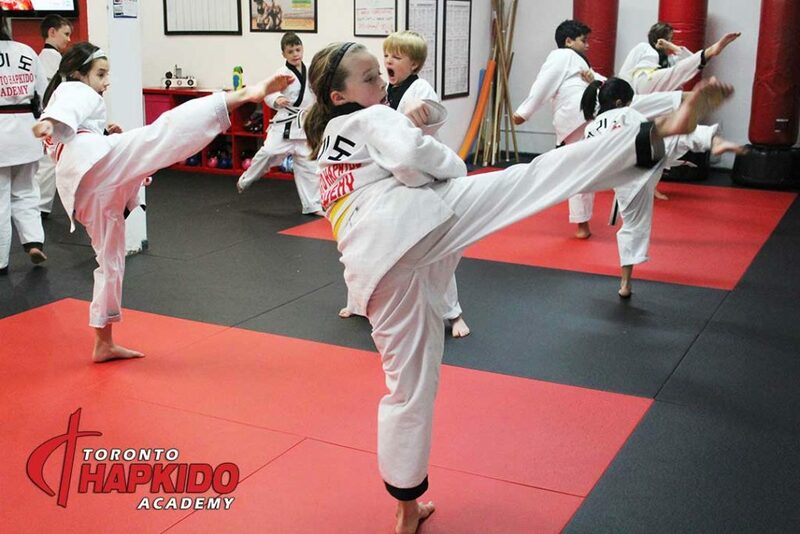 Why choose our martial arts North York school? 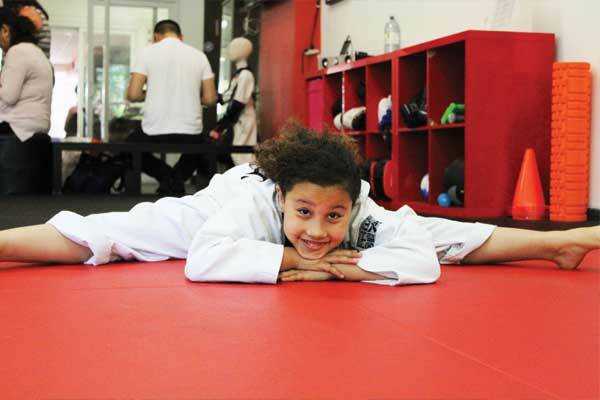 Parents are always amazed at the wonderful life-changing benefits Martial Arts North York school provides to kids. A well-structured children’s martial arts program is considered one of the best activites for kids. Most importantly it provides nurtures personal success tools such as focus, self-discipline, and confidence. See… we understand that parents are intersted a children’s martial arts class that teaches more than just Karate or Taekwondo, Kung Fu, Judo, Jiu Jitsu, etc. And T.H.A Martial Arts & Kickboxing’s kids Hapkido Program does more than not just that. We help prepare them for Life! Every aspect of our curriculum is carefully organized to help your child reach their full potential. 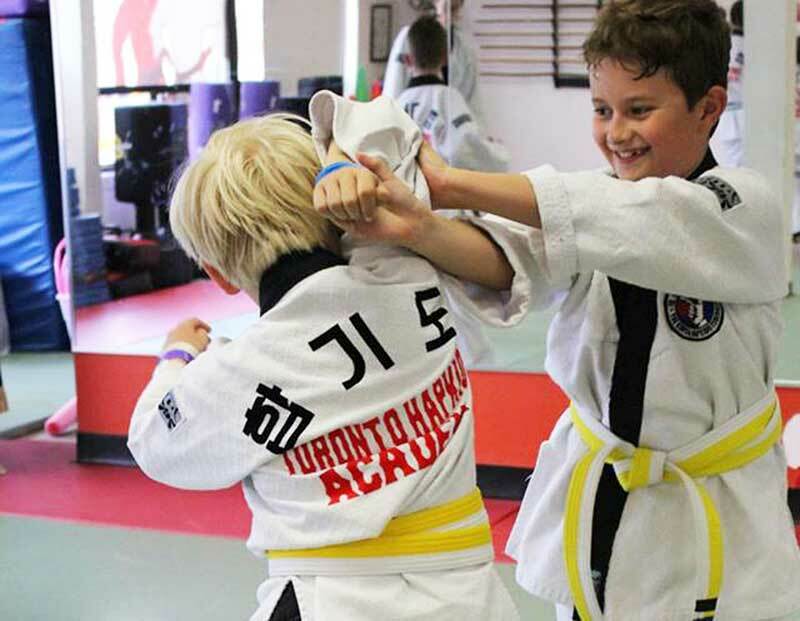 Besides that, another thing that is different about our Martial Arts North York Toronto school is our lessons target your child’s stages of growth and development by keeping the classes age-appropriate and exciting. Good Social skills, Positive Character Development, and help Build Confidence. We a teach dynamic martial art system – Hapkido. A Korean self defense form of Jiu-jitsu in a safe, fun and exciting environment that nurtures self-discipline; and the ability to set and achieve goals with a powerful sense of accomplishment. Above all, our children’s martial arts program teaches goal setting habits, and the importance of follow-through in other to achieve success. Kids develop a healthy mind and body; empowered with a non-quitting spirit, and have the confidence to face life’s challenges and succeed. confidence are just a few children’s martial arts classes away. Request Info on available class times, membership, and trial options. best practices for chooseing an after-school activity for your child. safe, and beginner-friendly children’s martial arts classes. Engaging children’s martial arts classes that teach team work, emotional restraint, and similar life skills. Age-appropriate martial arts north york classes for bully proofing, stranger awareness, and personal safety. A charismatic team of well-training martial arts professionals who are experienced working with kids. Convenient class times, and daily beginner-friendly classes to choose from. For reasons like these, we are one martial arts north york school where families regularly give feedback about how our lessons transcend the dojo classroom. Most noteworthy is how our kids classes helped their child became more respectful, athletic, or exhibit examplary leadership qualities. Consequently, we’ve seen hundreds of kids develop greater self confidence, and improved for the better since they started taking childrens martial arts classes at T.H.A Martial Arts. Contact us to schedule a complentary trial class for your child… you’ll love what we do!